I took Jebus' dehydration method and turned it into a stackable drying system. He inspired me so much since I have been thinking of where to dry my stuff since my crops are too large for my current dry space. Thus, I went out to Home Depot and bought the materials. Pictures and explanation will be posted later to this thread since I'm still cutting the wood and stuff. If you don't have a good drying technique, I suggest that readers should look at jebus' post. It is a great idea. From what he says, if dries things a lot faster than paint grade damprid/dririte and dririte. 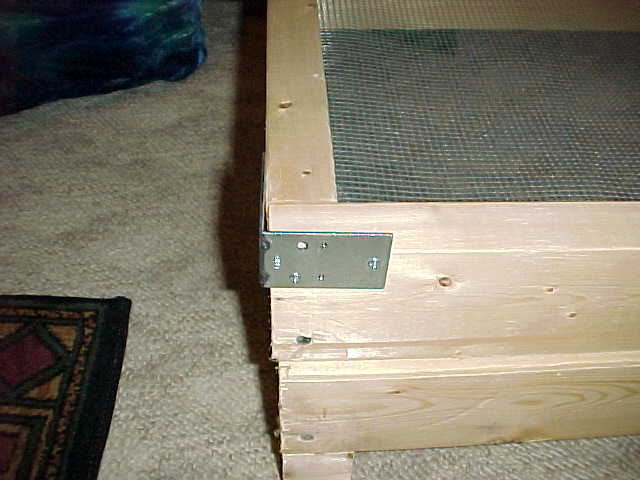 Besides, his idea is ideal for cramped space or if you have pets that you dont want in the toxic dririte. on the back of his dry rack he has attached the top and the bottom with hinges. Instead of hinges, I used L-brackets on opposite corners of the bottom rack that looks identical to his. Then, I made a bunch of "bottom" racks minus the legs but also with the L-brackets in opposite corners to allow for theoretically infinate expansion of rack layers. The top is then also similar to his that just gets laid down on the top within the L-brackets. Hope this helps people with limited space- I'll put pictures up when my friend comes over with his digital camera. Jebus - what is the %RH of the air where you live? Where I live it is never lower than 65% - so I think I'm still stuck using dessicant for the last stage of drying. When I posted I was not sure of the response I would recieve, but it has been 99% positive and it is people like you, that take the time to acknowledge the efforts of others that make it worth while. I would love to see much more of that here at the shroomey. It takes no time at all to say "Thanks", but it means the world to me, and many other members. So Thank-you and if I can ever be of any help to you please don't hesitate to ask. Maybe we can trade some spores? The R/H is only important if you do not have air conditioning.Otherwise all homes are the same. I do have a/c and live in Southern Ontario, Canada where we see all four seasons, but my house remains 72 degres all year. 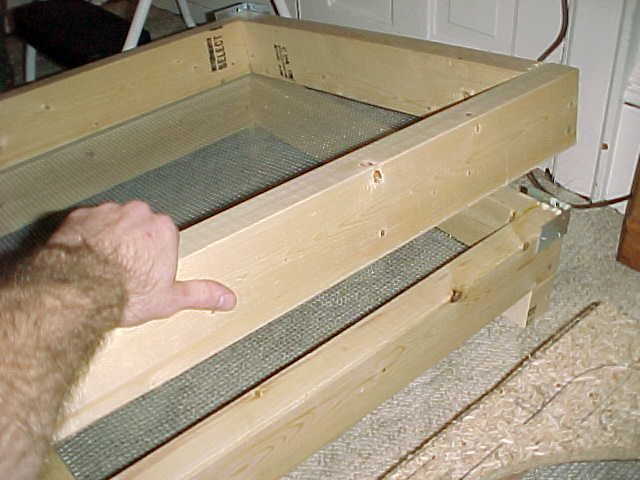 But, if you have no a/c and it is always humid, it would be very difficult to dry using this or any other method. Good question! Edited by jebus2000 on 09/21/01 06:34 PM. Edited by juicer on 09/21/01 07:36 PM. Once again Juicer, nice job! Your version is HUGE! 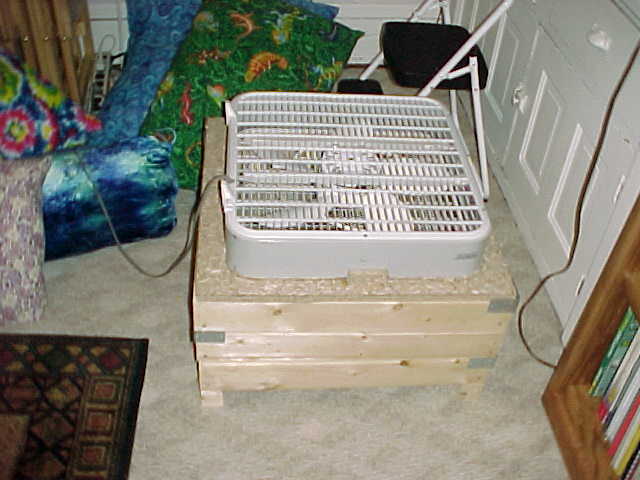 The box fan you use is a great idea and the levels are nothing short of genious. I don't think I deserve the credit, but thank you. All the pillows were home made by my girlfriend and I've seen hairier arms- but thanks. So What is the Truth with Dehydrators and Potency Loss? 1,166 topic views. 22 members, 74 guests and 16 web crawlers are browsing this forum. Generated in 0.047 seconds spending 0.02 seconds on 19 queries.